Well first of all, happy new year to you all, I hope you hangovers how now disappeared and you are back in the full swing of normality, it can be a mad time getting back to work, I try and have this time off to sort out the next few months work sorted and pencilled in. But enough of work for a minute and it’s time to enjoy the super 6 on Saturday and this week for a change I actually have things to show you from my own garden! Things are slowly being to happen in it thankfully, still have a few bulbs to plant but they will be done over the weekend! Ahh first thing that’s happening is the new children’s play house (with a alpine roof, see more planting space, I may look silly……) got the bulk done and now adding the cedar shingles, never done them before and they are all different angles which is fun but I am getting there, happy with it so far, kids are well excited. Well you will get bored of my Edgeworthii over the next few weeks but these flowers just starting to open are getting me excited! The slight scent from the couple that have opened, smells stunning! Teasing me it is! Just a few pansies but they haven’t stop flowering since I have planted them, how beautiful do they look! Greetings galanthophile from this galanthophobe. 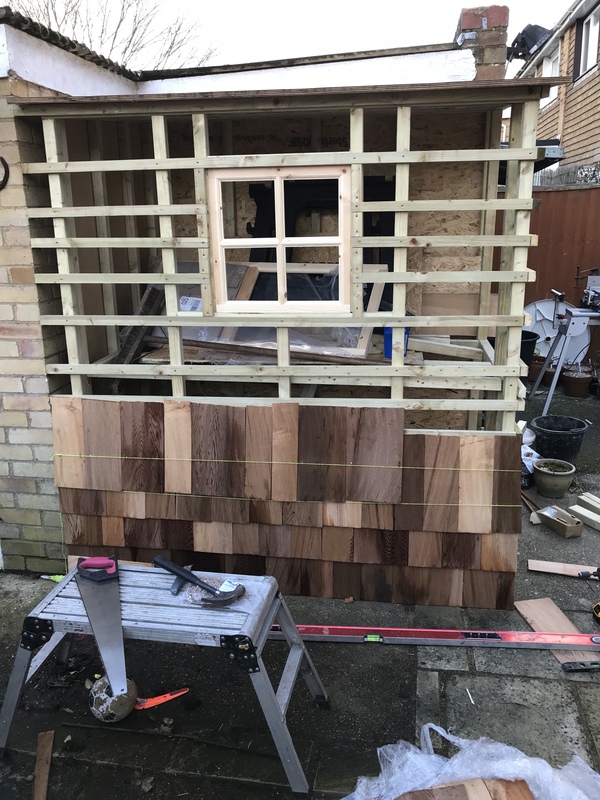 Once on that slippery slope ….. It’s a bit cruel to let the kids think they’re getting a playhouse when your real intent is to make a potting shed! And I see you’ll be very busy on 30 January, checking all those plant names for changes 😉 Good luck with that. What is the allure of the Edgeworthia? One of my colleagues got one as a gift from an old classmate, and is very pleased with it. I do not get it. It does not look like much, and it not too terribly fragrant. There are other flowers that are comparably fragrant. Ahh it’s the small umbrella shaped buds that become obvious in the autumn once the leaves have gone, slowly getting larger and larger and then one day a little bit of colour appears and then you get this beautiful flower and it doesn’t grow too big! Have you ever seen a picture of the glade of them at Wisley Gardens? No, I have not seen the glade of them My colleague got one as a gift and everyone in the Rhododendron Society (They meet at the farm.) thought it was so rad. I just do not get it. It does not look like much to me, especially compared to everything that grows out in the nursery. Thank you they are a beautiful bulb just rather addictive! Fraid I just want the playhouse! Looking forward to seeing the finished version. Have you pruned your roses yet?? Haha that’s fair enough 👍 no not yet, shall start mine being of February for the climbers and mid Feb for the shrubs, how did the fig go? I’ve done the the branch that overhangs the path, the crosssing ones and those growing inwards. Now I have to do the reduce the height ones. I’m ditherering over whether just to tip prune or to take off 18 inches on some of the branches. Decisions! Nice work with the playhouse and shingles. Your children are definitely getting the luxury model. I look forward to seeing the alpine roof too. Edgeworthia hasn’t been on my radar until recently, but then I saw ‘Red Dragon’ on the Crocus website and it is beautiful. Enjoy! A great six as always. Love the pansy, nandina, & snow drop pots, all looking gorgeous in their unique ways. I’m another fan of edgeworthia & yours is at that stage of giddy anticipation – still in bud but colour showing. Hope we see it again. As to the playhouse, it really is the deluxe model, inciting much envy in myself, but I’m really looking forward to seeing what happens w/the alpine roof. We keep talking green walls & roofs ourselves, but work keeps us a bit nomadic & we’ve not gotten to that stage in a garden as yet. Do keep us posted, please please please!